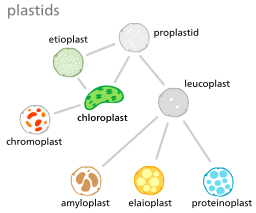 Plastids are a group of phylogenetically and physiologically-related organelles found in all types of plants and algae. In their roles, the different types of plastids contribute to plant metabolism thus promoting plant growth and development. One of the main characteristics of these organelles is the fact that they have a double membrane. In the cells, plastids are primarily involved in the manufacture and storage of food. They are therefore involved in such processes as photosynthesis, synthesis of amino acids and lipids as well as storage of various materials among a few other functions. Like all plant cells, plastids are derived from meristem cells within the plant. Located at the shoot and root tips, meristems are the source of undifferentiated cells in plants. Proplastids, the progenitor plastids, are undifferentiated plastids that are derived from meristems. 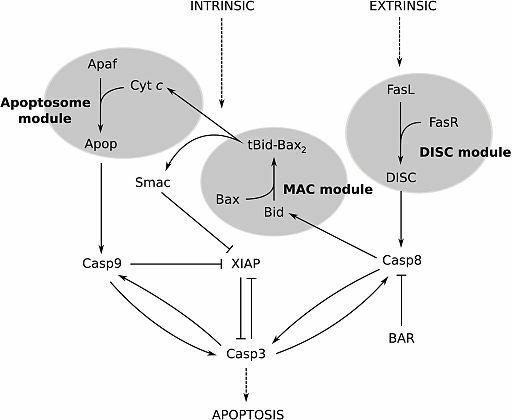 Further development of this progenitor results in the production of different types of plasmids that in turn serve different functions contributing to overall metabolism. Chloroplasts are plastids that are located in the mesophyll cells on plant leaves. Here, chloroplasts form a monolayer as they are pressed against the cell wall by the vacuole. Some chloroplasts can also be found in the epidermal cells of the plant, but are less developed compared to those found in mesophyll cells. For different plant species and even within the plant, chloroplasts vary in size. For instance, whereas chloroplasts found in epidermal cells are smaller and less well developed, those found in the mesophyll cell are bigger and well developed. With regards to structure, chloroplasts contain thylakoid membrane which is an extensive internal membrane that enhances photosynthesis. The thylakoid membrane houses protein complexes that contain chlorophyll molecules that are directly involved in photosynthesis (capturing light and energy pathways). * The bigger the surface area of the thylakoid membrane the more chlorophyll content is present in the cell. * The thylakoid membrane takes up about 500-micrometer square area in the chloroplast. Generally, chloroplasts have a spheroid shape (oval shaped), which may be as a result of being pressed against the cell wall by the large vacuole. However, this may vary depending on the location of the plastid. The morphology has also been shown to be dynamic, which means that the general shape can change over time. Studies have also shown the plastid to be polarized and ranging from 5 to 10 micrometers in width depending on the plant. Like the other plastids, chloroplasts have a double membrane envelope consisting of the outer and inner membrane (phospholipid layers). The space within the double membranes is covered with an aqueous matrix known as stroma. This aqueous matrix contains various enzymes and proteins that are essential for cellular processes. "Chromo" comes from Greek word meaning color. Chromoplasts are brightly colored plastids that act as the site of pigment accumulation. They are typically found in the fleshy fruits, flowers as well as various other pigmented parts of the plant such as leaves. With such pigments as carotenoids accumulating in chromoplasts, the plastids play an important role in pollination given that they act as visual attractors for animals involved in pollination. Structurally, chromoplasts vary significantly depending on the type of carotenoids that they contain. * While chromoplasts can develop directly from their progenitor, they have also been shown to form from chloroplasts during ripening of fleshy fruits. * In some cases, chromoplasts can revert back to chloroplasts - sites of photosynthesis. Rhodoplast - Plastids found in red algae. As sites for pigments, chromoplasts play an important part in pollination given that they attract various animals and birds to the plant. Once the animal comes in contact with the pollen from the plant, it ensures pollination as the animal moves from the one plant to another. Compared to some of the other plastids, gerontoplasts are formed during senescence. Essentially, senescence involves the degradation of various organelles of a plant cell. 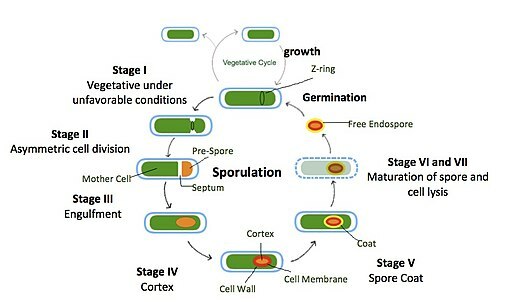 During this process (senescence), the chloroplast undergoes extensive structural modification of the thylakoid membrane followed by the formation of increased numbers of plastoglobuli. The grana are also gradually unstacked but the gerontoplast membrane remains intact as senescence continues. This plastid has therefore been suggested to play an important role in controlled degradation of the chloroplasts. This allows the plant to retain most of the protein contained in the chloroplasts (75 percent of the total leaf protein) and effectively remove chlorophyll and its byproducts that have been shown to be potentially toxic. Generally, leucoplasts are colorless plastids that are commonly found in colorless leaves and rapidly growing tissues (tubers, stems, roots etc). Here, leucoplasts serve as the site of starch formation and storage. Compared to plastids like chloroplast and chromoplasts, leucoplasts lack such pigments as chlorophyll. Moreover, they are located in deep tissue such as plant seeds and are therefore not directly exposed to light. While the main function is storage, some of the leucoplasts are also involved in the synthesis of fats and lipids. Amyloplasts are a type of plastid involved in long term storage of starch. Like the other plastids, amyloplasts develop from proplastids. The biosynthetic pathway of starch is confined to plastids. Here, amyloplasts play an important role in the storage of starch. Compared to some of the other plastids, amyloplasts have very little internal membrane and contain one or several larger grains. Like chloroplasts, however, amyloplasts are enclosed in a double-membrane that contains stroma. It is within the stroma of amyloplasts that starch granules are synthesized and ultimately stored. * Amyloplasts have also been suggested play an important role as gravimetric sensors. As such, they are involved in directing root growth to the ground. Apart from storage of starch and gravisensing, amyloplasts in some species have also been shown to produce enzymes (in the GSGOGAT cycle) that promote nitrogen assimilation. The word "Elaiov" is a Greek word for olive. Unlike the amyloplast, elaioplasts are a type of leucoplast that contain oil. They serve to store oils and lipids which explain the small drops of fat found inside the plastids. Structure-wise, elaioplasts do not have specific internal structures. As a result, only lipids/oil droplets (plastoglobuli) are present. Although other types of plastids may contain some level of plastoglobuli, it is the high amounts of plastoglobule and its composition that distinguishes it from the other plastids. Elaioplasts are also characterized by their small and spherical shape. However, they are rare when compared to the other plastids. Typically, elaioplasts are found in the tapetal cells of some plants where they contribute to the maturation of the pollen wall. Proteinoplasts contain higher levels of protein as compared to the other plastids. These proteins are also large enough to be seen under the light microscope. The proteins either accumulate as amorphous or crystalline inclusions and bound by a membrane. For land plants, the number of plastids has been shown to be relatively high per cell ranging from 30 to 40 and 100 to 150 in diploid cells. The plastids of plants are also simpler when compared to those found in other organisms like algae. 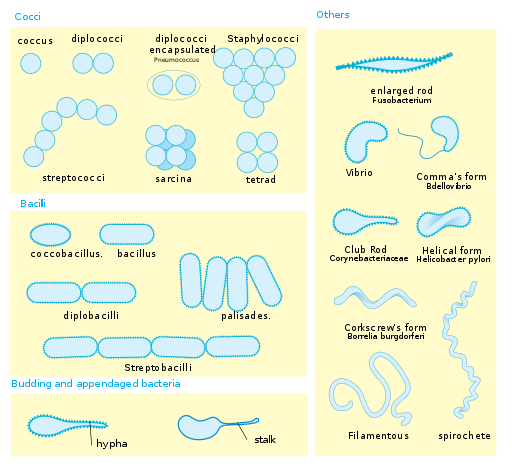 Depending on the species (species of plant, algae etc) plastids may take up a variety of shapes ranging from discoid, spherical, dumbbell-shaped or lens-shaped among a few others. * Under stressful conditions, mitochondria have also been observed in plastids (by intrusion). This has been shown to be the case with plastids like chloroplast surrounding the organelle (mitochondria). One of the other important structures associated with plastids is the stromule. By connecting the plastids into a network (plasidome) the stromule plays an important role in ensuring communication between the plastids and other cell organelles such as the mitochondria and the cell nucleus. Stromules are also highly dynamic and have been shown to extend from the surface of all types of plastids. For all types of plastids, the double membrane has been shown to be the only membrane that remains intact (permanent). It is made up of such galactolipids as MGDG among other lipids and proteins. Due to genome reduction of plastids, particularly in the cells, plastids are only able to encode for a small number of proteins. As a result, they are highly dependent on the proteins encoded by the cell nucleus. Here, then, the double-membrane envelope of the plastids plays a crucial role in the transport of protein from the cell's cytoplasm and into the plastid. Apart from protein transport, the membrane also plays an important role in the signaling process. Communication between plastids and the cell nucleus is important particularly during gene expression. The membrane, therefore, plays an important role in cell signaling and thus in the regulation of gene expression. Stroma refers to the internal space that is enclosed by the double membrane of the plastid. It is filled by a colorless fluid/matrix that surrounds the thylakoid as well as a number of other organelles within the plastid. Ribosome - Ribosome is a major characteristic of plastid stroma. In some cells, they may be present as polyribosome, which is a complex of the mRNA molecule (a group of ribosome that are linked by the messenger RNA). In a plastid, the presence of ribosome indicates protein synthesis activities. Proteins are required for several functions including various chemical processes as well as damage repair. Therefore, the presence of a ribosome is essential for various plastid processes within a cell. Nucleoids - These include copies of the plastid DNA and RNA. Like the cell nucleus, these nucleoids are the functional unit of the plastid's genome. 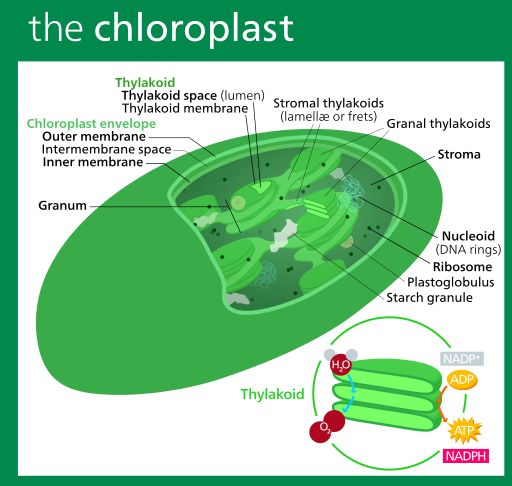 Within the plastid, the nucleoids are attached to the thylakoids (in chloroplasts) or may be randomly spread in the stroma. The number of nucleoids varies significantly from one organism to another. For instance, compared to non-green plastids, chloroplasts contain a higher number of nucleoids. * In plastids, the nucleoids may be organized along a ring and developed into a continuous ring of DNA. However, linear genomes have also been identified in plastids. Like mitochondria, plastids are semi-autonomous bodies. As such, they contain their own genetic material and are therefore capable of synthesizing proteins required for normal functioning. However, close coordination between the plastids and the cell is important during plastid development given that they may depend on the cell for certain material required during processes. The internal membrane of plastids is mostly found in land plants. It gradually develops from the inner membrane envelope (of the double membrane) as well as given lipid components. In some cases, this membrane may attach to the inner membrane of the plastid to form a membrane system known as the peripheral reticulum. This system plays an important role in the transport of various materials from the cytoplasm of the cell and into the plastid and vice versa. Gangaram Mohabir and Philip John. (1988). Effect of Temperature on Starch Synthesis in Potato Tuber Tissue and in Amyloplasts. Plant Physiol. Robert R Wise. (2006). The Diversity of Plastid Form and Function. ResearchGate. Robert R. Wise and J. Kenneth Hoober. (2007). The Structure and Function of Plastids. Advances in Photosynthesis and Respiration, Volume 23. Thomas W Braukmann. (2015). Investigating plastid genome evolution in heterotrophic plants and the use of structural changes to the plastid genome as phylogenetic markers. Katalin Solymosi and Áron Keresztes (2012). Plastid Structure, Diversification and Interconversions II. Land Plants. Researchgate. Kevin Pyke. (2009). Plastid Biology. Wise, Robert R., Hoober, J. Kenneth. (2006). The Structure and Function of Plastids. Advances in Photosynthesis and Respiration.